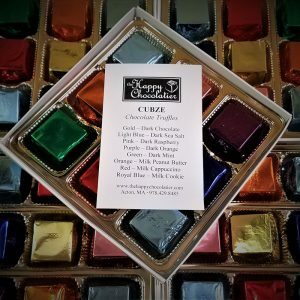 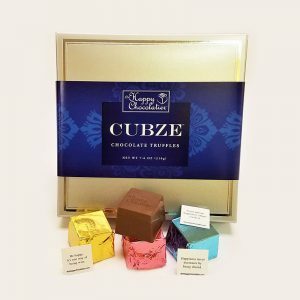 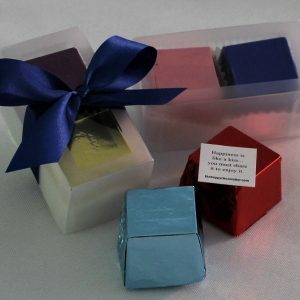 An assortment of our delicious truffle Cubze in dark chocolate and milk chocolate presented in a petite gold gift box accented with a lovely red ribbon. 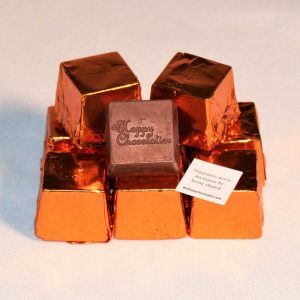 Perfect for paring with a bottle of wine. Each truffle Cubze is hand-wrapped and contains an inspirational statement about happiness. 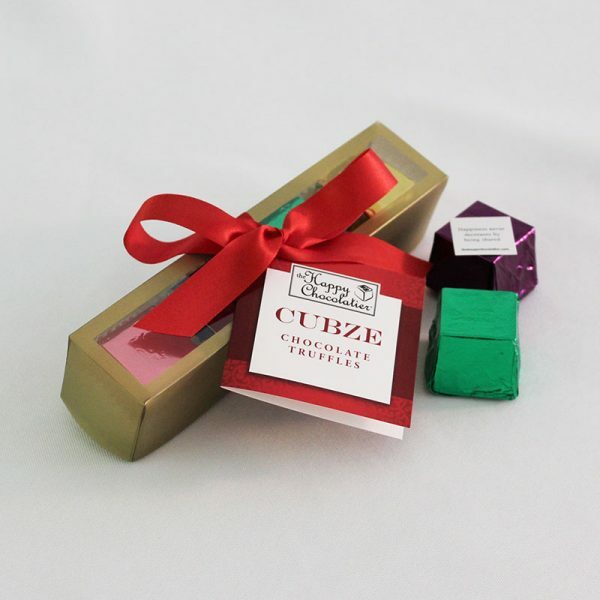 Petite Sampler contains four assorted chocolate truffle Cubze and weighs approximately 3.4 ounces.